There is nothing like getting the best buys on anything, including furniture. If you want the great deals on discount furniture Columbus, Ohio shoppers have been getting since 1992, you need to take a drive to Westerville and visit the Amish Originals Furniture Co. show room on 38 N. State Street. Here you will find great deals on furniture for every room in your home, as well as many decorative and storage items. You don’t have to worry about not being able to find deals. Even items that are not on sale are affordably priced and built to last so you don’t have to turn around and buy more in a year or two. 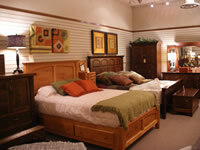 The Amish Originals Furniture Co. first opened its doors in 1992. They have served Columbus and area residents for more than 20. The store just keeps getting more and more popular, because customers tell all of their friends that this is the store to go to for the highest quality furniture at the most affordable prices. When you step into the show room, you will see a huge selection of items for every room in your home, as well as items to spruce up your outdoor space and turn it into more living space. You have a choice of treated pine or poly lumber for your outdoor furniture. 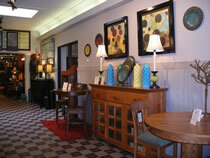 Each piece of furniture sold at Amish Originals is hand crafted by members of more than 70 area Amish families. There are no power tools used, and because the items are made by hand, each one is unique. No two pieces are ever alike, so you can be sure that you are going to have a home décor that is uniquely yours. These are all items that are built to last for a lifetime and then some. You will be handing down your furniture from Amish Originals to your children, and they will probably hand it down to their children. You can find great deals when you visit the Amish Originals website. The clearance page has different items all the time. You will find great savings on top of the already great prices offered by Amish Originals. You can make out your wish list from the items you find on the website, and then visit the show room to make all of your purchases. You have the options of picking up your purchases yourself or having them delivered directly to your home. This is just one of many great services offered by the management and staff at Amish Originals Furniture Co. The next time you need new furniture for your home, take a look at the discount furniture Columbus, Ohio shoppers have loved for more than 20 years. You will find an amazing selection at the show room, and the customer service is second to none. Drop by today and find everything you need to furnish every room in your home, including storage items, mirrors and more, and to furnish your outdoor space.